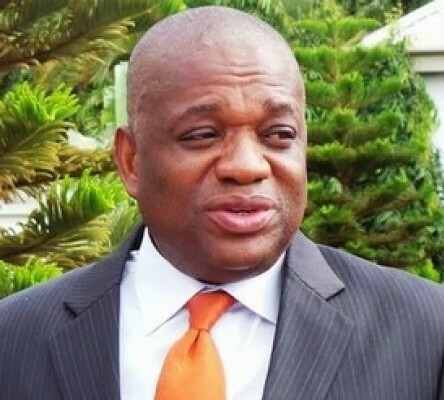 Eminent businessman and former governor of Abia State ,Dr Orji Uzor Kalu has said the Indegenous People of Biafra ,IPOB holds false opinion about him and has advised the separatist movement not to forget their lines so soon. Kalu was responding to the different statements emanating from the Publicity Secretary of the IPOB , Emma Powerful and lawyer to the IPOB leader, Ifeanyi Ejiofor on their reaction to an interview he allegedly granted on Sunday. He was quoted to have said in the interview that he got intelligence from Nnamdi Kanu's relative that he has travelled abroad following his questionable whereabout since the Nigerian army's alleged invasion of kanu's home. In a statement signed by the former governor's Special Assistant, Peter Eze on Tuesday, Kalu said he cannot be worried about false narratives of IPOB spokesman about him when there are so many other things to be concerned about. He said his statement on Nnamdi Kanu's whereabout was an offshoot of an interview he granted to a reporter. He referred to it as pathetic that most Nigerians are interested in sensational headlines and care less about details. He added that Biafra agitation is an issue that concerns a lot of people and keeping silent in the face of its dangerous consequence would amount to wickedness and disregard for safety of lives of the Igbo people . The former governor acccused the group of running the interest of some politcians and despising good counsel . He described it as laughable when people try to link his actions with corruption charges levelled against him since 2007. He said Nigerians knew him before the charges and the genesis of the allegations and how it was targeted to destroy him politically. He however said the case being in a court of competent jurisdiction, he prefers not making further statements on it. He said he had wished the IPOB was more civil to monitor their utterances, arguing that attacking his personality and leaving the issue he raised makes them look irresponsible . He said the group's activities should be carried out with civility and respect adding that the lives of Igbo people are priority to him. He chided the IPOB for forgetting their lines so quick and disclosed that through his intervention, many detained IPOB members have been bailed.
" I wonder how IPOB easily forgot their lines. They have had many of their detained members bailed through my intervention. "Would it be appropriate for even somebody like Emma Powerful to heap unprintable insults and accusations on me? I bailed him out when he was detained and was left to rot in prison. "When Nnamdi was in prison, I was the first to visit him thus opening doors for others to do same.I did that because he is my brother. Although he showed a lot of appreciations during the visit but he still maintained his ground on Biafra. For the sake of posterity , I have made my stand clear. In a restructured Nigeria, Igbo people would be better off .We got it wrong in 1967 and we need to get it right now, else we get it wrong again." Kalu warned in the statement.